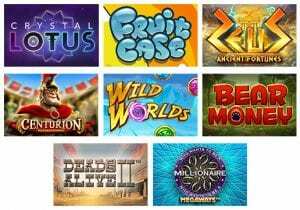 Casino Big Apple – April Exclusive Offers! Welcome to the Casino4Uu blog. In this edition, read highlights of Big Apple Affiliate’s monthly newsletter. This month they are offering some more exclusive offers based on Geos! 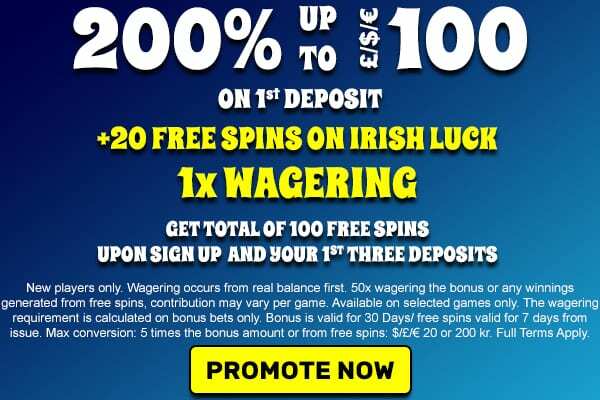 Start your month with the exclusive offers & earn higher commissions with 1x wagering on your 1st deposit at Casino Big Apple! Please note: This offer will be valid till 24th April 2019. Exclusive Offers for UK players & Other Countries! 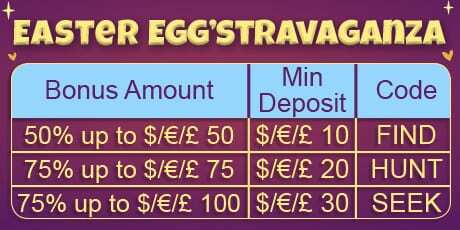 100% welcome bonus up to £/€/$ 100 on 1st deposit. 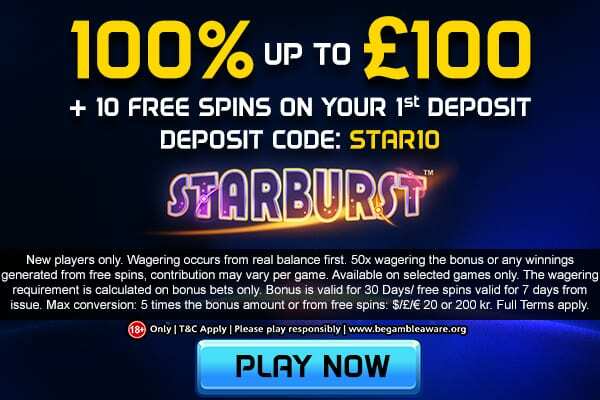 Get 10 Free Spins on Starburst on 1st deposit. Deposit code: STAR10. Please note: This offer will be valid from 1st April 2019 till 30th June 2019. All the creatives are available in our casino big apple account. Make your month some more exciting with these promotions! April is awesome! Therefore, to get players pumped up, there are 4 offers that players can claim three times each. Age of Slots Epic Battle This April! This April, an epic slots battle will take place. Age of Slots starts 5 April and runs till 14 April 2019. 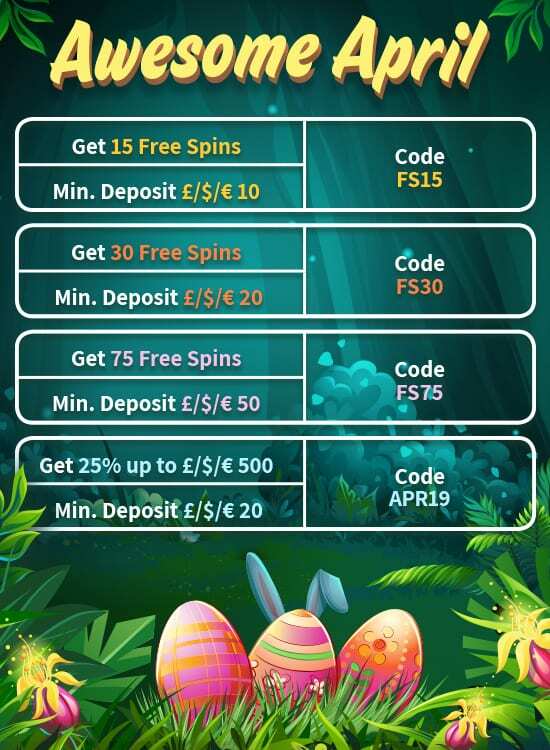 Players simply need to deposit £/$/€10 with code: AGE and then play any Eyecon, Fugaso and Tom Horn slots. 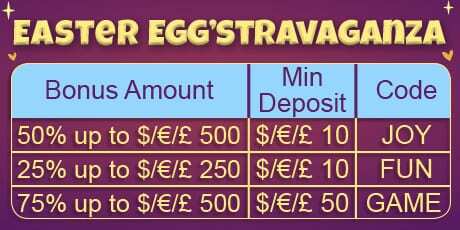 Get Involved With The Easter Egg’stravaganza! This year, for Easter, we are proud to present the Easter Egg’stravaganza. There are nine offers in total with up to $/€/£ 2,725 in Bonuses! 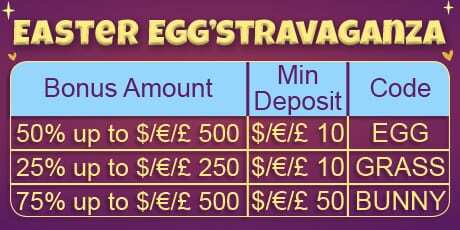 Players must place the minimum deposit with the relevant code to claim each bonus. New Games Launching This April – See Our New Games Table Below!